"Albany Airport" redirects here. For other uses, see Albany Airport (disambiguation). Albany International Airport (IATA: ALB, ICAO: KALB, FAA LID: ALB) is seven miles (11 km) northwest of Albany, in Albany County, New York, United States. It is owned by the Albany County Airport Authority. ALB covers 1,000 acres (400 ha) of land. It is an airport of entry in the town of Colonie. It was built on the site of the Shaker settlement about 6 miles (9.7 km) north of Albany and stretching north to the hamlet of Verdoy. The airport is below class C airspace. UPS Airlines and FedEx Airlines operate the Boeing 757-200 to the airport five days a week for cargo. As of April 2017, about half of the flights at ALB are smaller regional aircraft. Airlines that operate mainline aircraft are Allegiant Air, American Airlines, Delta Air Lines, Frontier Airlines, JetBlue Airway, Southwest Airlines, and United Airlines. The largest passenger aircraft to fly into ALB on a daily basis is the Boeing 737-800 operated by Southwest Airlines, and the Airbus A320 by JetBlue Airways. United Airlines flies in peak travel seasons, either a 737-800 or 737-900ER from its hub at Chicago O'Hare International Airport. American Airlines also flies occasionally during peak travel seasons, Airbus A321s from their hub at Charlotte Douglas International Airport. The airport does, however, have the capability to accommodate larger aircraft. In 2009 a pair of Boeing VC-25s (747-200) (Air Force One and the spare) landed at ALB, when President Barack Obama made a visit to Hudson Valley Community College in nearby Troy. In January 2018, Albany accommodated an almost fully loaded Norwegian Air Shuttle 787 bound for New York's John F. Kennedy from London after it landed due to a snow storm in New York City. All 316 people aboard were processed through customs at Albany, and sent by bus to New York City. Albany International was the first, and remains the oldest, municipal airport in the United States. In 1908 the airstrip was on a former polo field on Loudonville Road, three miles (4.8 km) north of the city in the town of Colonie. In 1909 the airport moved to Westerlo Island, in the city of Albany, but at that time was in the town of Bethlehem; the airport was named at this time. The airport was named after Teddy Roosevelt's son, Quentin, a fighter pilot during World War I. A$10,000 prize was established for sustained flight between Albany and New York City; Glenn Curtiss achieved this on May 29, 1910. Other early pioneers of aviation that stopped at this early field were Charles Lindbergh, Amelia Earhart, and James Doolittle. Mayor John Boyd Thacher II once said "a city without the foresight to build an airport for the new traffic may soon be left behind in the race for competition". He therefore decided to build in 1928 a new modern airport on the Shaker site near Albany-Shaker Road in Colonie, not far from the original polo fields used as the first site of the municipal airport. The Shakers not only sold the land used but also loaned the use of tractors and tools. The early Albany Airport was often closed and threatened with closure which prompted repeated improvements in the late 1930s and 1940s. The airport was closed from January 1939 until December 1940, when it reopened to traffic during daylight hours only, and then with no restrictions since January 1942. The airport has not been closed (other than for weather and emergency landings) since. The February 1947 C&GS chart shows three 3500-foot runways aimed 12, 98 and 133 degrees magnetic. In 1962 a new terminal building opened. A landside building had ticket counters, a coffee shop, and baggage claim on the first floor and a restaurant, offices and viewing area on the second floor. A single-story boarding concourse extended outwards from this building. In 1968 this concourse was widened to allow more concessions and boarding space. The terminal was expanded again in 1979, with the addition of a new two-story building attached diagonally to the northwest. It had boarding gates for Allegheny Airlines on the second floor, and baggage carousels on the first floor. The Albany County Airport Authority was created by the county in 1993 with a 40-year lease to operate the airport in 1996. Construction of a new terminal began on May 16, 1996; it opened in June 1998. It was designed by Reynolds, Smith & Hills and Stracher-Roth-Gilmore, and it was built around the existing terminal, most of which was demolished upon its completion. Only the 1979 extension remains from the old terminal building. In 1999 the Airport Authority began building a 16,000-square-foot (1,500 m2) addition to the new terminal for Southwest Airlines' use. The project was completed in 2000 and included the addition of two new dual jet bridges allowing passengers to board and deplane from front and rear doors of the aircraft. In 1946-61 American Airlines, TWA and Colonial/Eastern flew to Albany, but nonstops didn't reach beyond New York City and Buffalo until 1967. Eastern left in 1961 and TWA left in 1965, leaving Mohawk and a few American flights. The first jets were American and Mohawk BAC 1-11s in late 1966 (runway 1/19 was extended south sometime in 1966–68, from 5,000 to 6,000 feet). Before airline deregulation in 1978, most flights at Albany were on "trunk carriers" (American Airlines and Eastern Air Lines) and "local service carrier" (Allegheny Airlines, which renamed itself USAir in 1979). After deregulation, many new airlines expanded to Albany. Most did not survive the 1980s. Braniff International Airways, which added Albany as part of an unsuccessful expansion in 1979. Albany was the only Upstate New York city served by the colorful Dallas-based airline that shut down in 1982. Empire Airlines, a regional carrier based in Utica, opened a hub at Syracuse Hancock International Airport after deregulation and operated flights from Albany and other Northeast cities with a fleet of regional jets and turboprops. Mall Airways, a commuter carrier, ran a hub at Albany in the 1980s; its small turboprops flew around the Northeast and into Canada. People Express Airlines, a low-cost carrier founded in 1981 with a hub at Newark International Airport. People grew quickly into a major carrier, but couldn't maintain it and was purchased by Continental Airlines in 1986. Continental's Continental Express and Continental Connection affiliates served Albany until the merger with United in 2010. Piedmont Airlines, a pre-deregulation local service carrier based in North Carolina, expanded to the Northeast with a hub at Baltimore–Washington International Airport; they flew to Albany from there. They bought Empire in 1985 and merged them into itself. In 1989 Piedmont was bought by USAir. Republic Airlines, an airline formed from the merger of three pre-deregulation local service carriers, began flying from Albany to their Detroit hub in 1984. They were bought by Northwest Airlines in 1987; Delta Air Lines bought Northwest in 2008 and took over their operations in 2009. TWA (Trans World Airlines) served Albany briefly around 1979–1981 during a short-lived experiment running a hub in Pittsburgh. United Airlines had long served Rochester and Buffalo, and added Albany and Syracuse in 1982. United and its affiliates serve Albany today. During 1986–1987 the airline industry saw a series of mergers; after 1989 the US airline industry was dominated by six "legacy carriers": American, United, Delta, Northwest, USAir, and Continental. All six served Albany themselves or by their regional affiliates. During the 1990s, Albany and other Upstate markets enjoyed little low-fare service, and the legacy carriers mostly kept fares high. Southwest Airlines' entry into Albany in 2000 brought a new era of low fare service. In early 2001, CommutAir started to invest in an Albany hub. 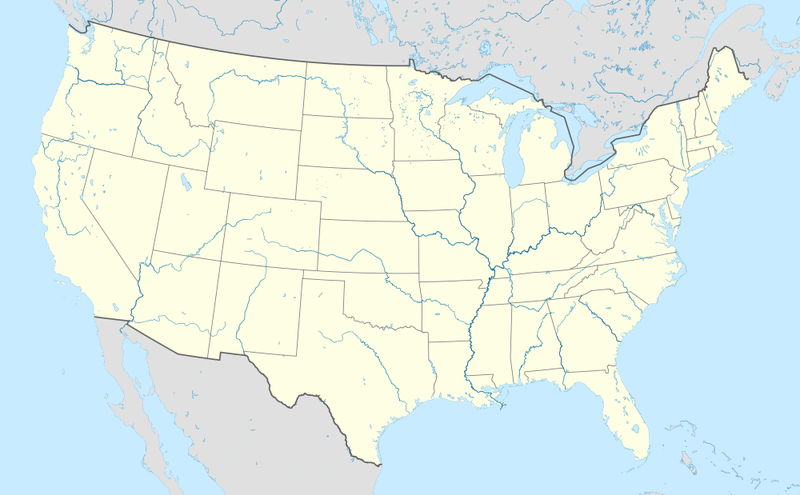 The hub was to connect a number of smaller cities in the Northeastern United States via the Albany hub. This allowed passengers to travel between cities that lack the demand for a direct flight between them while still bypassing busy, delay-prone hubs in major cities. These flights were operated under the Continental Connection brand using Beechcraft 1900Ds. The flights were scheduled in banks so that passengers would only have a 20-minute layover in Albany between flights, thereby minimizing travel times. At its peak, CommutAir served Allentown, Bangor, Binghamton, Boston, Buffalo, Burlington, Elmira, Portland, Harrisburg, Nantucket, Wilkes-Barre, LaGuardia, Islip, Hartford, White Plains, Manchester, Providence, Syracuse, Rochester, Lake Placid, Plattsburgh, Montréal, Ottawa. The hub was closed down in late 2005 to shift operations to Cleveland. A few of the markets did do well. As of March 2018, CommutAir operates several daily flights from Albany to its hubs at Newark Liberty International Airport and Washington Dulles International Airport for United Express. CommutAir also has its largest maintenance base at Albany, serving its ERJ-145 fleet. Previously CommutAir's main maintenance base was located at Cleveland Hopkins International Airport, but CommutAir moved the maintenance base to Albany in 2014. The main terminal is divided into two levels. Level 1 includes the main check-in area, baggage claim, car rental, and taxi services. Level 2 includes a public waiting area. The security checkpoint leads passengers to a central atrium and all three concourses. Concourse A was opened in 1968. The concourse currently hosts Allegiant Air, Cape Air, and United Airlines. Concourse B hosts American Airlines, Delta Air Lines, and JetBlue Airways. Concourse C was opened in June 1998 as part of the airport's $184 million renovation project. Concourse C has three gates, with two currently being used by Southwest Airlines and one used by Frontier Airlines. All destinations from Albany International Airport (ALB). Albany International Airport has direct access to I-87 and New York State Route 7 via Albany-Shaker Road, a 3.3-mile (5.3 km), four-lane boulevard. On August 14, 2018, New York state officials announced the redevelopment of I-87 Exit 4 which will provide direct access to Albany International Airport. The airport is served by major car rental companies as well as by Uber, Lyft, local taxi and limousine services. Albany International Airport is served by CDTA Routes 117, 155, and 737. Route 737 provides access to Downtown Albany, while Route 117 provides access to Colonie and Guilderland via Colonie Center and Crossgates Mall. Adirondack Trailways and Vermont Translines also provides intercity bus service to and from the airport. The closest rail station to Albany Airport is Schenectady Amtrak Station in Downtown Schenectady at 10 miles from the airport. For more rail options, Albany–Rensselaer Amtrak Station is 14 miles away and has more routes. There are currently few sidewalks connecting the terminal to nearby hotels or other destinations. However, New York state officials have announced pedestrian and bicycle facilities will be installed along Albany Shaker Road. This will connect the airport to hotels and businesses along Albany Shaker Rd and eventually to Wolf Road. On September 16, 1953, American Airlines Flight 723, a Convair 240, was flying Boston-Springfield-Albany-Syracuse-Rochester-Buffalo-Detroit-Chicago when it crashed and caught fire after flying into a series of radio towers in a fog while descending for landing. All 28 occupants on board (25 passengers and 3 crew) were killed. On March 3, 1972, Mohawk Airlines Flight 405, a Fairchild Hiller FH-227, crashed into a house in Albany, on approach to Albany County Airport. The crew had difficulty getting the cruise lock to disengage in one of the engines. While the crew attempted to deal with the problem, the aircraft crashed short of the airfield, killing 16 of the 48 people in the aircraft and one person on the ground. The lone surviving crew member was a stewardess, Sandra Quinn. ^ a b c FAA Airport Master Record for ALB (Form 5010 PDF). Federal Aviation Administration. effective January 5, 2017. ^ "Customs at ALB". Albany International Airport. Archived from the original on August 31, 2008. Retrieved August 12, 2008. ^ "Albany Airspace". SkyVector.com. Archived from the original on April 4, 2009. Retrieved April 4, 2009. ^ "Albany International Airport". Stracher Roth Gilmore Architects. Archived from the original on September 7, 2002. ^ "Albany Airport History". Albany County Airport Authority. Archived from the original on December 22, 2008. Retrieved December 20, 2008. ^ "Welcome". Archived from the original on May 12, 2016. Retrieved April 27, 2016. ^ "CommutAir". The Business Journals. Archived from the original on August 30, 2008. Retrieved March 20, 2018. ^ "Last dash out of Albany; Embraer jets into service – Home Page". flycommutair.com. Archived from the original on March 20, 2018. Retrieved March 20, 2018. ^ "CommutAir Plans Major Expansion at Albany, New York, Hub". Area Development. Archived from the original on March 20, 2018. Retrieved March 20, 2018. ^ "Commutair moves to triple size and end use of turboprops". Times Union. Archived from the original on March 20, 2018. Retrieved March 20, 2018. ^ "CommutAir to Relocate its Cleveland Crew and Maintenance Base – Airways Magazine". Airways Magazine. April 29, 2014. Archived from the original on March 20, 2018. Retrieved March 20, 2018. ^ "Frontier Airlines coming to Albany International Airport". June 19, 2018. Archived from the original on June 19, 2018. Retrieved June 19, 2018. ^ "Now Packing Up For Winter: January and February 2019 Schedules Now Available!". Retrieved September 6, 2018. ^ "Southwest resumes Albany to Las Vegas flights". Archived from the original on March 9, 2018. Retrieved March 9, 2018. ^ Research and Innovative Technology Administration. "Albany, NY: Albany International (ALB)". Bureau of Transportation Statistics, U.S. Department of Transportation. Archived from the original on March 15, 2013. Retrieved October 14, 2012. ^ "$92M slated for Albany International Airport upgrades, Northway exit changes". ^ "Accident description (Record 19530916-0)". Aviation Safety Net. Flight Safety Foundation. Archived from the original on June 15, 2010. Retrieved September 29, 2014. 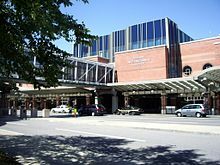 Wikimedia Commons has media related to Albany International Airport.